Electronic cigarettes have been around since 2003 and they're often promoted as a safe alternative to traditional cigarettes. 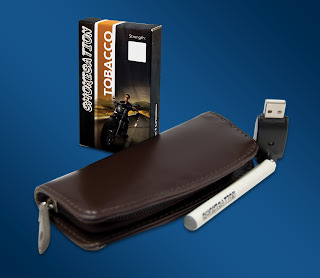 These types of cigarettes are ideal for anyone who can't break the smoking habit. An electronic cigarette typically includes varying amounts of nicotine, but no tobacco and other harmful substances. The inclusion of nicotine lets smokers get their daily fix, while lowering their risk of cancer. But while nicotine is a common ingredient in an electronic cigarette, it's possible to smoke a non-nicotine electronic cigarette. E-cigarettes feature nicotine cartridges. Smokers can purchase a high level cartridge or a low level cartridges. Varying levels help smokers wean themselves off cigarettes completely. Of course, nicotine is addictive and this one ingredient can impact a person's ability to give up cigarettes. Some medical experts push electronic cigarette cartridges that include zero nicotine. Thus, smokers enjoy the sensation of smoking, minus the nicotine and tobacco. Those highly addicted to nicotine may notice a difference and deal with withdrawal symptoms. However, individuals who've always smoked low-nicotine cigarettes may not notice a difference.